Arm yourself with a trough and spade, these are your weapons of stress reduction! 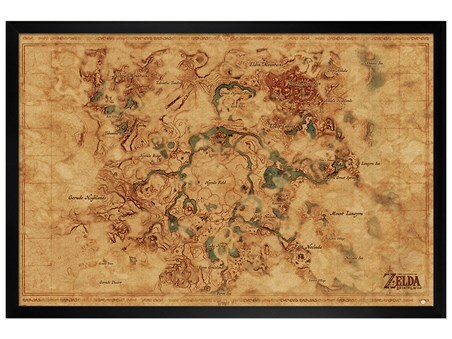 If you're feeling like the daily grind has got too much this week, get yourself out into the garden for some therapeutic pot planting! 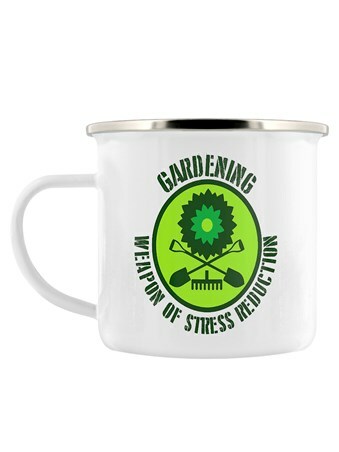 Digging up those pesky weeds can work up quite a sweat, so make sure you have a well earned rest and hot cuppa with this green fingered enamel mug! 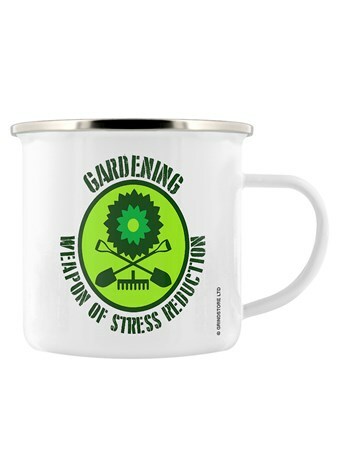 High quality, framed Weapon Of Stress Reduction, Gardening enamel mug with a bespoke frame by our custom framing service.